I’ve been gushing over my Monograms travel experience for a few weeks now, but with good reason. From start to finish they provided me with the tools I needed to enjoy a mostly independent and definitely immersive travel experience throughout Colombia, but nowhere is that better demonstrated than when I visited the country’s famous coffee growing region. At the heart of my experience in the region was the very unique, and luxurious, property I temporarily called home, the Hacienda San Jose. Tucked away deep in the jungle a hacienda stay is not your typical hotel experience but, as I learned, it may be better than even the best hotels in the world. The third largest coffee growing region in the world, as soon as I stepped off the plane in Pereira I knew that this magical part of the country was unlike anywhere else I’d been. For years Colombia’s central coffee-growing region was essentially off-limits to tourists, the national violence touching even this pristine landscape. But for several years this hasn’t only become one of the safest parts of the country, it’s also one of the most popular. I started my own visit with, of course, a visit to a local coffee plantation where I learned all about my favorite beverage, including plenty of samples. The real highlight though came on a visit to the land lost to time that is the Cocora Valley. Rolling hills and mountains wear a near-permanent crown of fog and the landscape is dotted with Colombia’s national tree, the Palma de Cera – the highest palm tree in the world. My trek through those grassy hills was the best experience of my entire trip to the country, an experience made even more convenient by the hacienda where I spent the night. The Hacienda San Jose is perfectly located to take advantage of these sights and more but, as I learned, the hacienda experience is as important to any visit to the region as that hike through the valley. A finca is a rural getaway with a farmhouse or large house and usually offers guests a setting that isn’t only pastoral, but estates that have their own long and unique histories. That is certainly the case at the Hacienda San Jose, which was originally built in 1888 in a luxurious but relaxed style that has been lovingly cared for through the generations. One of the oldest estates in Pereira, I was instantly impressed not only by the colonial architecture, but by the beautiful period furniture and curios dotting the rooms and public spaces. To be clear, this is not the Ritz-Carlton, but even as a lover of luxury hotels I could find few faults in my experience. The rooms are comfortable with all of the modern amenities, but the real stars of the experience are the public areas. In the central courtyard is a beautiful and tropical pool next to which is the Hacienda’s restaurant. I honestly didn’t expect much from the food experience, but after several meals on-site I was consistently impressed by the quality of the food as well as the amazing service. While small, the folks who run the Hacienda San Jose clearly understand the true meaning of hospitality, and my time at the retreat was a highlight of my time in the country. 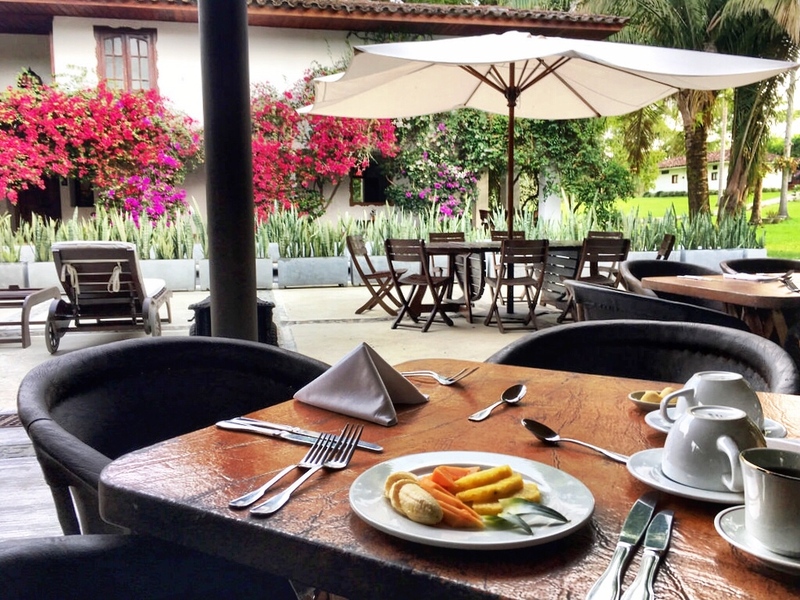 More than a nice restaurant or easy access to the region’s top sights, my stay at the Hacienda was important because it offered me a better chance to experience the area in a more immersive way. To be clear, this is still a hotel and the people who stay there are tourists, but I felt better connected to the country and region than I did at any other place I stayed throughout my time in the country. Part of that is the setting, a few miles off of the main road, the finca is located in the middle of the woods (or jungle I guess) in a setting as quiet and peaceful as you could hope for. This is not a place where anything is within walking distance, but that’s fine. I needed that time to be a little removed, to enjoy the region for its beauty and grace, which is what draws people there in the first place. 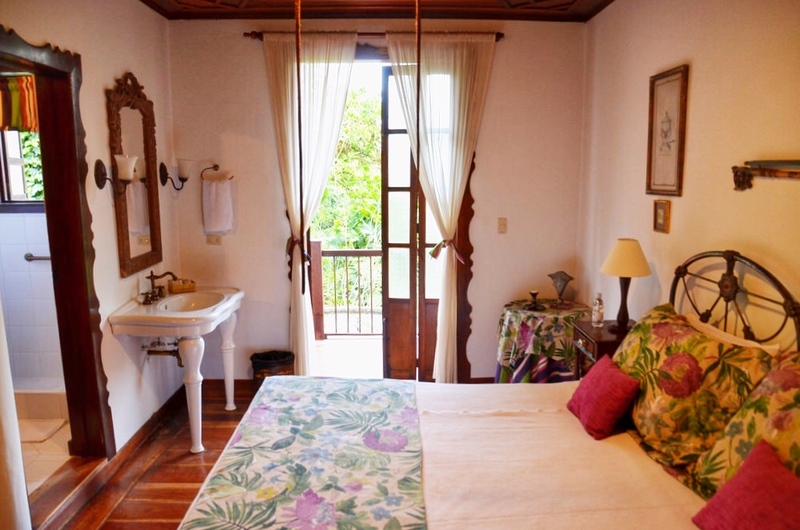 The Hacienda is also family owned, which naturally lends itself to a more local experience. No massive mega-corporation owns and operates it, dictating everything from sheets to appetizer menus. No, all of that is left up to the family members who run it and it’s obvious almost immediately that the Hacienda is a true labor of love. I think I enjoyed my time at the San Jose so much though because I was surprised by it. Even researching it before I left home I didn’t have a clear idea of what it was exactly. No, it wasn’t until I stood on the balcony of my room, looking out across the courtyard, smelling the fragrant flowers and listening to the hum of the early evening that I finally got it. It was then when I understood the true magic of not just the Hacienda, but of Colombia in general. Magical realism was the hallmark of Colombia’s most famous writer, Gabriel García Márquez, but it’s a moniker that can easily extend to the whole country. Everything seems normal but then there are special little moments, brief instances that appear almost otherworldly. Standing on that balcony was one of those experiences for me and it only made me fall in love with the hotel and the country that much more. I would never have selected the Hacienda San Jose on my own, which is yet another reason why I’m so glad I traveled around Colombia with the gentle guidance of Monograms.